It's almost August, and that means Ohio State football will soon be here. With that in mind, the folks at the Worthington Parks & Recreation Department and the Griswold Center have created a special event to prepare you for the excitement—long before the first kickoff of the season. On Saturday, August 9, the Concert on the Green series will feature the OSU Alumni Band on the northwest quadrant of the Village Green. Piggybacking off that event is the OSU Alumni Band Tailgate at the Griswold Center. You simply don’t want to miss either of these events. "We try to make it a true football Saturday with a game day, tailgate atmosphere," said Ryan Cooper, customer service coordinator at the Griswold Center. "What makes this such a great event is the atmosphere. Even though there is no game that day, it still feels like a game day and really gets people pumped up for football season." The OSU tailgate event, which takes place at the Griswold Center, will include a special visit from Jeff Hall as Woody Hayes. Hall appeared in the one-man show, Woody: His Life, Times and Teachings, at the Ohio Theatre and other venues in character as Woody. He will be sharing stories about the famous coach, including his early years, coaching and life in general. Hall's remarkable resemblance to Hayes creates some great photo opportunities. Yet Cooper warns that Hall is much more than a Woody look-alike. He knows Woody's story inside and out. After the tailgate, which also includes boxed lunches from Jimmy John's and root beer floats, folks can head over to the Village Green for reserved seating at the OSU Alumni Band Concert on the Green, a concert that has attracted about 1,000 attendees in the past. 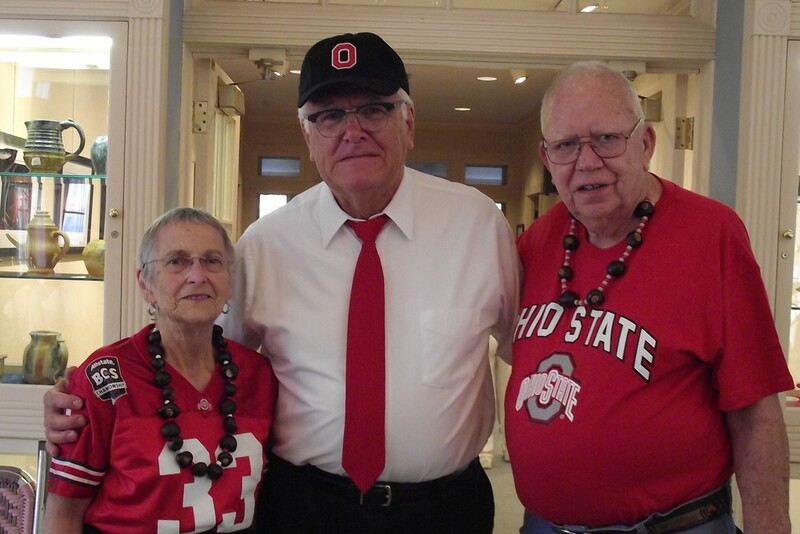 The OSU Tailgate begins at 5 p.m., followed by the OSU Alumni Band Concert on the Green at 7 p.m. Registration is required for the Tailgate: $10 for Worthington residents; $13 for non-residents. Pre-registration is available in person at the Griswold Center or online at Worthington.org as early as the end of July. Walk-ins will be accepted, but pre-registration is necessary for the boxed lunch. For more information about this event, visit Worthington.org. To stay current on all the latest happenings in Worthington, go to the Event Calendar at VisitWorthingtonOhio.com and "like" us on Facebook at Visit Worthington Ohio.